MailChimp is a neccesary plugin in most WordPress site. In this article, we will learn about How to Install MailChimp and How to Configure it in a WordPress site. 2HOW TO INSTALL MAILCHIMP IN WORDPRESS SITE? In this part, we will see how to install MailChimp in WordPress site. 2. Alternatively, download the plugin from WordPress.org manually and upload the contents of mailchimp-for-wp.zip to your plugins directory. 4. Set your MailChimp API key in the plugin settings. 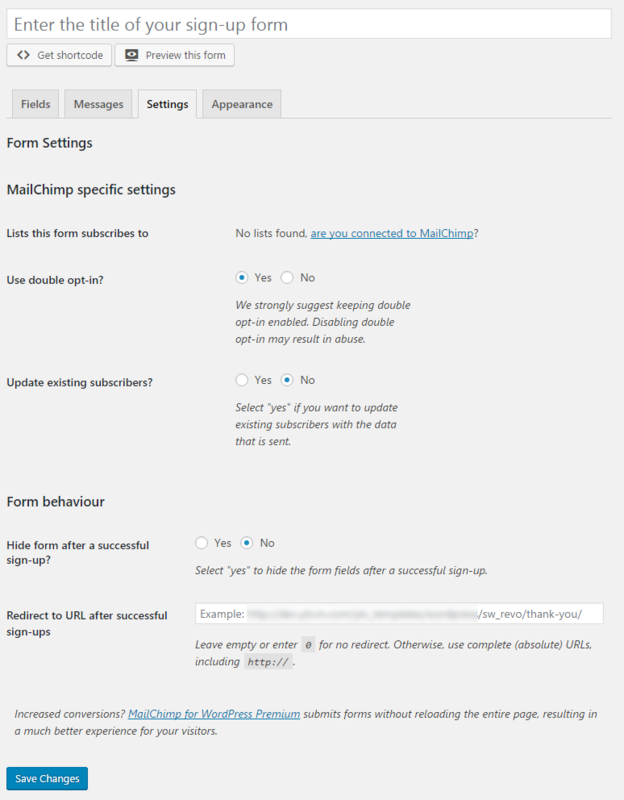 3HOW TO CONFIGURE MAILCHIMP IN WORDPRESS SITE? In this section, we will bring you some steps to configure MailChimp for your site. 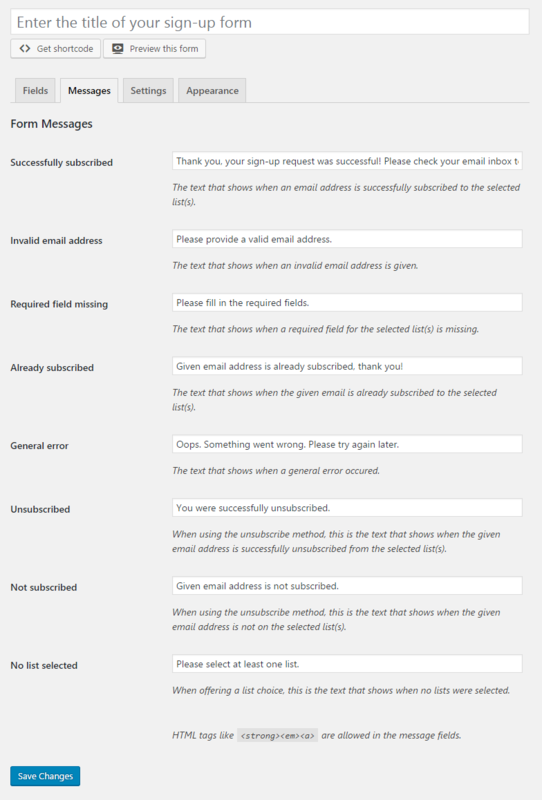 1.Go to MailChimp for WP >> MailChimp to access general setting page of MailChimp. You should connect to your mailchimp account by entering API Key. 2.Also, in order to make MailChimp Form work effectively, you should navigate to MailChimp for WP >> Forms in admin sidebar, fill in the forms. After making the changes, remember to click Save Changes button. 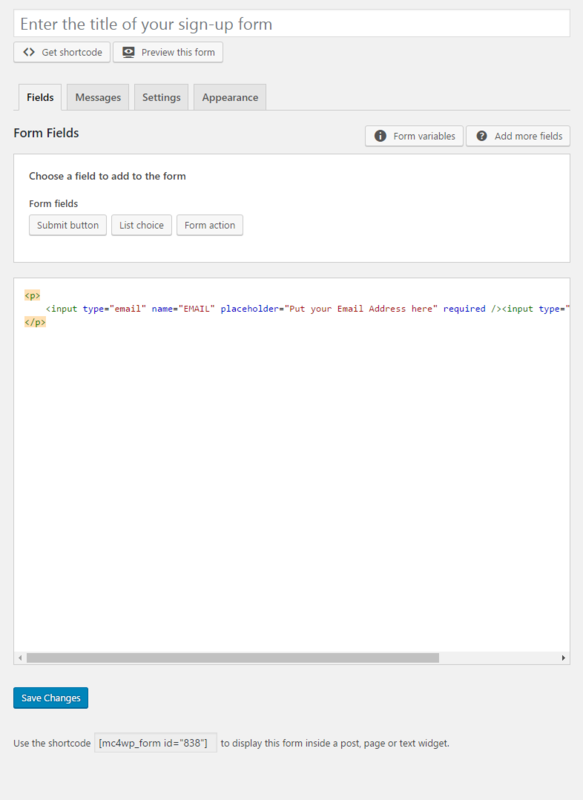 Form Fields: Please click to see the Backend Settings. Copy the code here to the form mark-up field in the page. Form Messages: Please click to see the Backend Settings. Form Settings: Please click to see the Backend Settings. 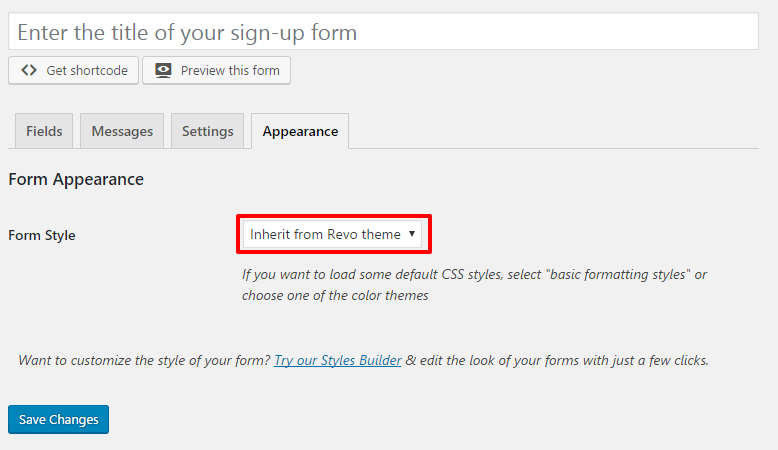 Form Appearance: Please click to see the Backend Settings. You can click Here for more information about this plugin. REFERENCE – To have more detail about this plugin, you can refer to MailChimp Documentation. FAQs – You can refer FAQs for the Frequently Asked Questions.